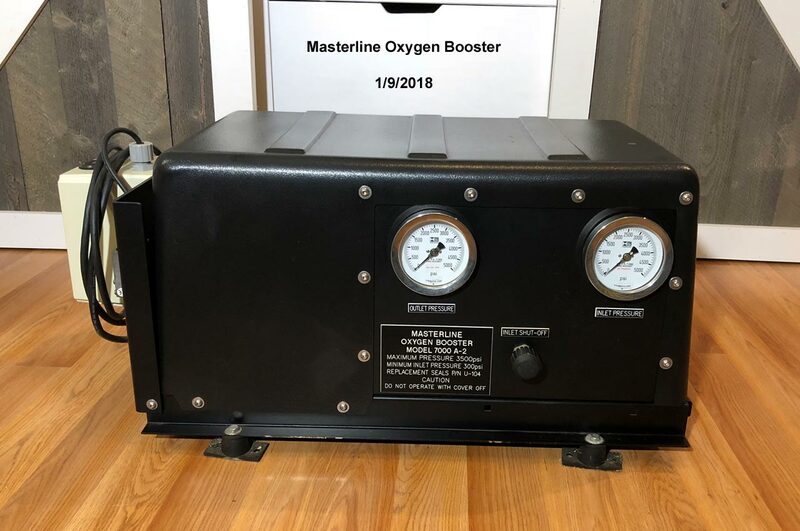 Our MasterLine electric Oxygen Booster has been sold. 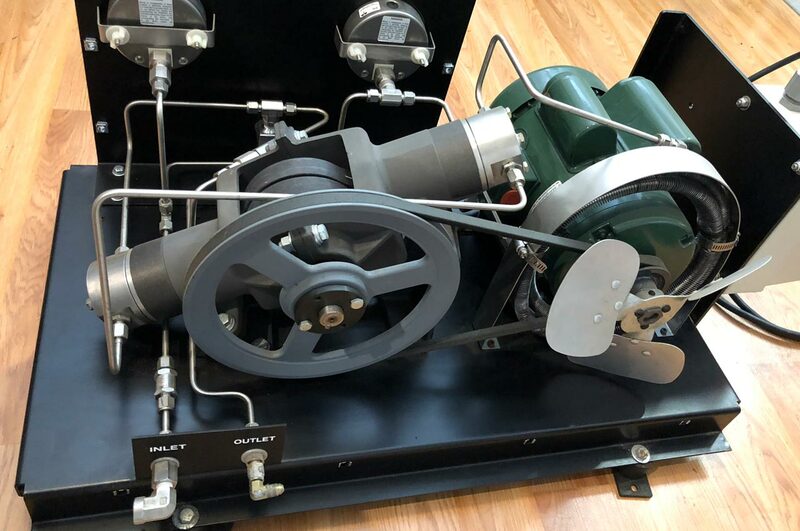 This Model 7000 A-2 electric oxygen booster requires 125 Volt, 15 amp power. 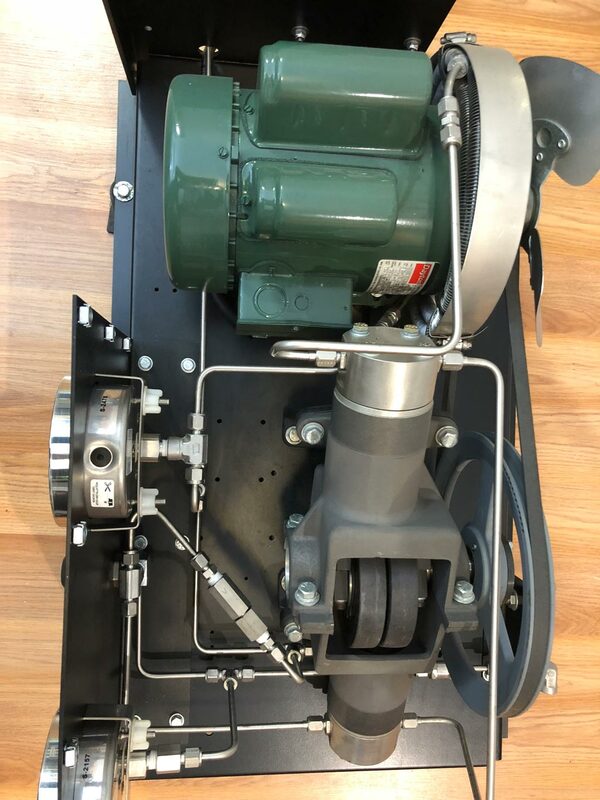 It includes a pushbutton, stop-start station that is attached to the frame for ease of use. It is an ideal booster for Rebreather and Technical Diving, Dive Shops and Medical facilites that re-fill oxygen tanks. 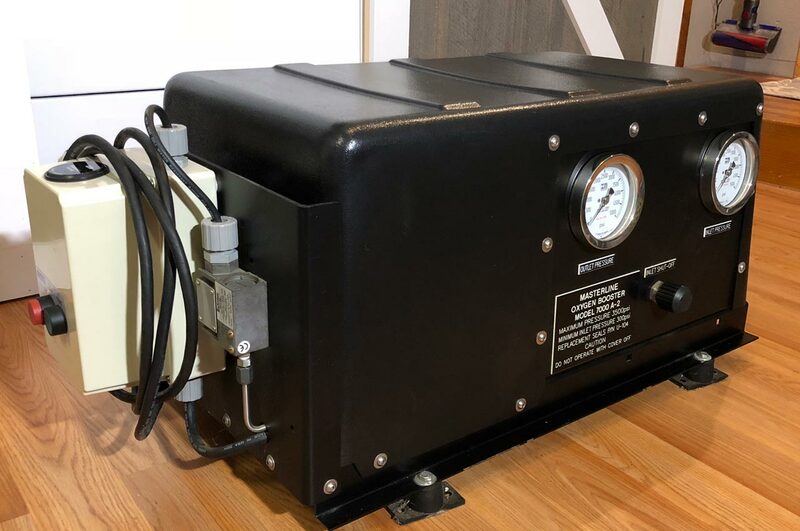 It is a very sweet electric booster that boosts Oxygen up to 3500 psi, and will boost Argon, Helium and Nitrox up to insane pressures. You will like it, hook it up, push the button and the pressure slowly comes up. No more fooling with accumulators and Haskel's! The military was buying these up as fast as MasterLine could make them. They are designed for shipboard use and are the cat's meow for those special ops rebreather divers! Price new is about $10,000 and used ones are rare. Filling up and topping up deco mixes to 100% Oxgen is very easy. Even topping off Trimix is easy, and the Helium bottles go back to the gas dealer with only about 300 psi in them. You've got to like that! Please Contact Scott Boyd ( scott "at" boydski.com ) with any questions. For more information on these awesome boosters, see the MasterLine Web Site. 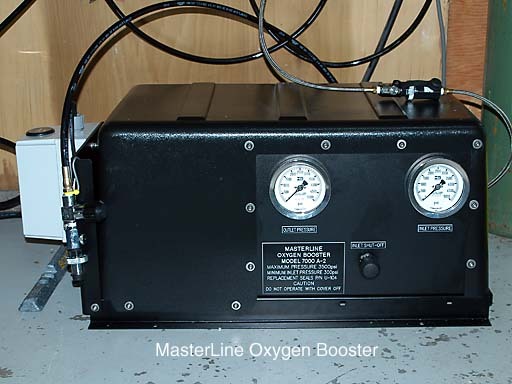 Masterline Oxygen Booster with cover removed.